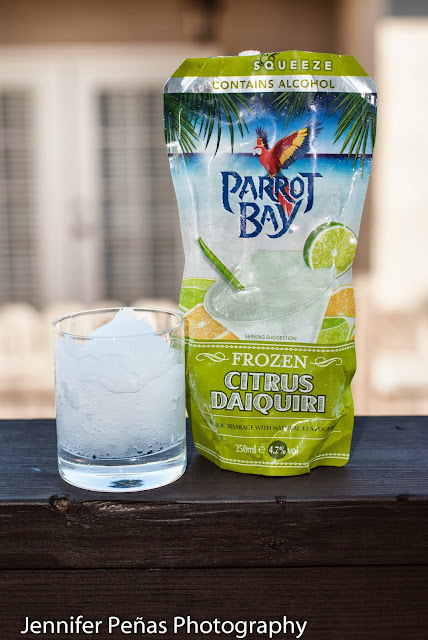 I was sent these three Parrot Bay Frozen cocktails to try and review. I was sent a free product to review in exchange for my honest opinion. 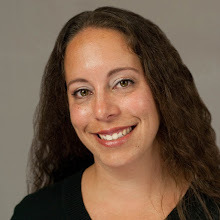 All views in this post are mine and I was not compensated for them in any way. I'm sure you've seen them at the grocery/liquor stores before. 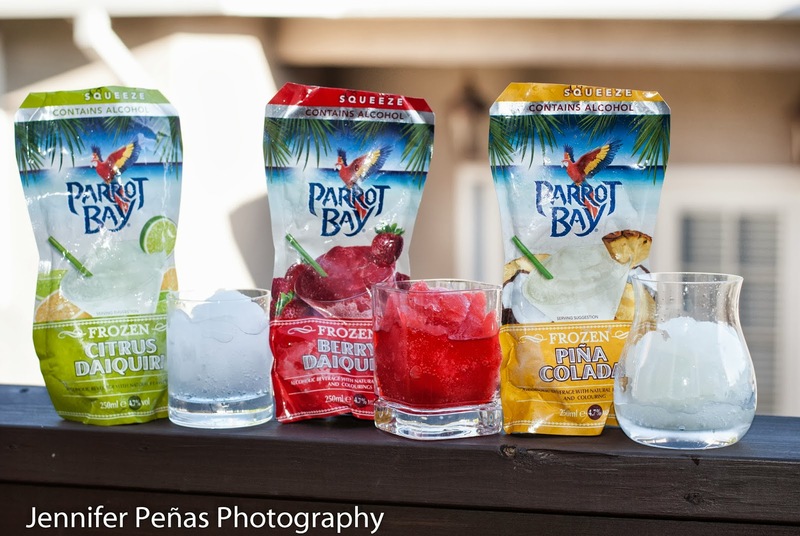 They look like adult sized Capri Suns. 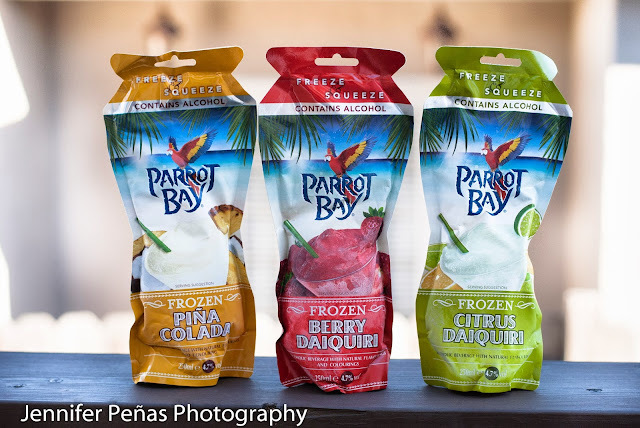 I was excited to try these three flavors as I love Piña Colada, I really enjoy berry daiquiri's and I have never tried a frozen citrus daiquiri before. Basically what you do is stick the pouches in your freezer for about eight hours. After that you squeeze the pouches until the frozen drink inside becomes loosened/slushy. All that is left to do is cut open the top (or totally treat it like a Capri Sun and poke a hole in it and insert a straw) and squeeze your frozen cocktail out and into a glass to enjoy. These pouches, in my opinion, are pretty awesome. No messy blender to clean and no measuring, all of that is done for you. The three flavors I received were Citrus Daiquiri, Berry Daiquiri and Piña Colada. I have to say all three flavors are amazing. I was surprised that I liked the citrus daiquiri as much as I did. 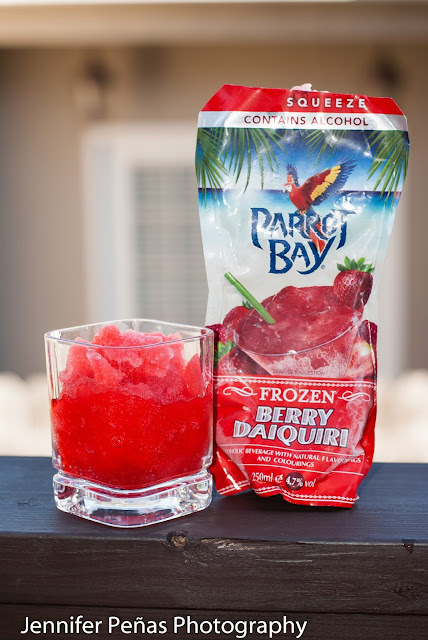 I think the berry daiquiri and piña colada are my favorites (not sure which one I like better, I think it would definitely depend on the mood I was in), followed closely by the citrus daiquiri. All in all, I would definitely purchase these items and even try their other flavors in the future. These are quick and easy cocktails to make and enjoy and are definitely Cocktail Lady approved! 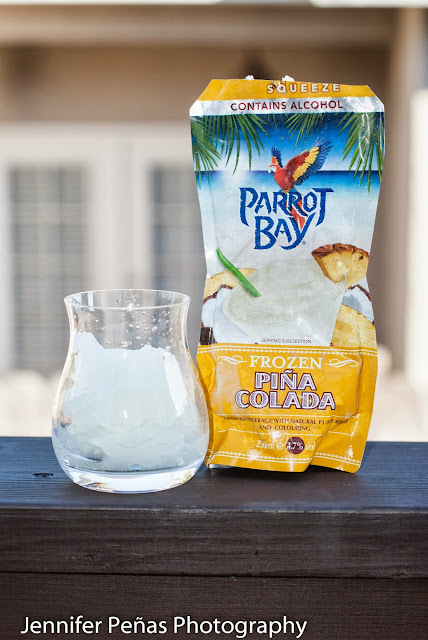 These Parrot Bay Frozen cocktails are fantastic, I hope you get to try one soon! i have tried the berry and pina colada ones, i love the berry SO HARD! I've never tried pre-made cocktails. Do you know how much alcohol is in them? Interesting. I've seen them but been hesitant to try them. I've gotten some of the ready-to-drinks and the just-add-liquor stuff before and not enjoyed the taste at all. They always tasted "chemically" to me. 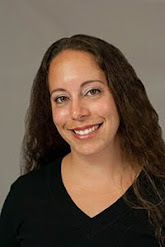 Since I've now heard an actual person endorse them (not just a commercial) then perhaps I'll give it a try. Do the contents all fit in that glass shown, or is there more still in the pouch? That was only about half of what was in the pouch. Let me know which one/s you like!